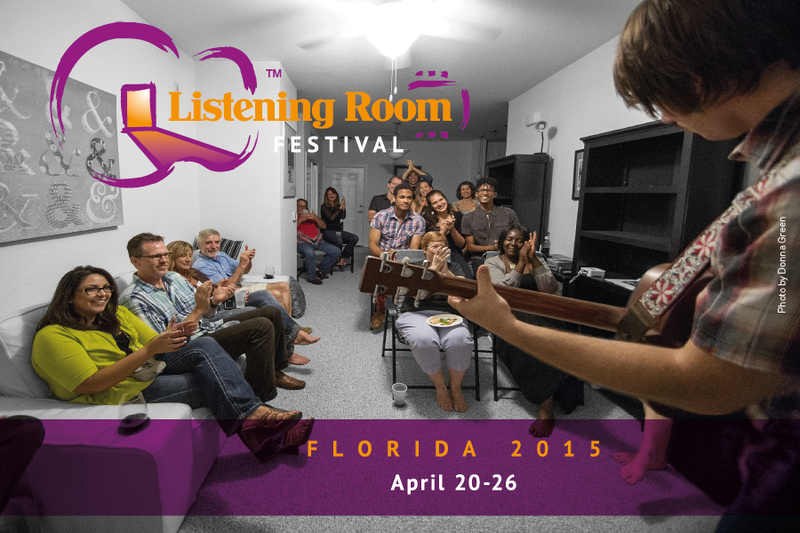 TenTen – House Concerts Made Easy – Listening Room Festival Edition! The easiest and best way to get started is with a house concert format we call TenTen – Ten Songs for Ten+ Guests. Create a show on musician’s off-nights, and help them start build an audience in your town. The easy TenTen Concert format is designed for weeknights. Touring artists have to make more money on weekends (especially Saturday nights) so we encourage bigger events on those nights. However, if you’d like to host larger shows, the TenTen format allows you to build up to that gradually by hosting a succession of smaller shows to hook a few new friends each time. Ten guests is the minimum expectation. We don’t count the host as part of the number of guests, so we’re really shooting for 11-16 people depending on your space and list of friends. The host only promises a $100 guarantee (ten guests X $10 for the artist), and provides a guest room and dinner if possible. We don’t want to ask any professional artist to play for less than $100. That means you should collect RSVPs, promote early, create a waiting list or overbook if possible, and send a reminder message two days before the show. CD and merch sales do not count towards the $100. Ideally, an artist will make $150-$225 from a TenTen Concert. Since the successful host (with ten paying guests) is not expected to pay, anyone can afford to host a show. Some hosts like to buy a couple of pizzas and make a salad, but that’s totally optional. The point is to make it quick and easy for people to attend after work. Time is running out to join the fun. Have a look at the wonderful artists available, and register to host a show so we can help you schedule and promote a wonderful, intimate concert in your home. Author FranmanPosted on March 21, 2015 March 21, 2015 Categories UncategorizedLeave a comment on TenTen – House Concerts Made Easy – Listening Room Festival Edition!